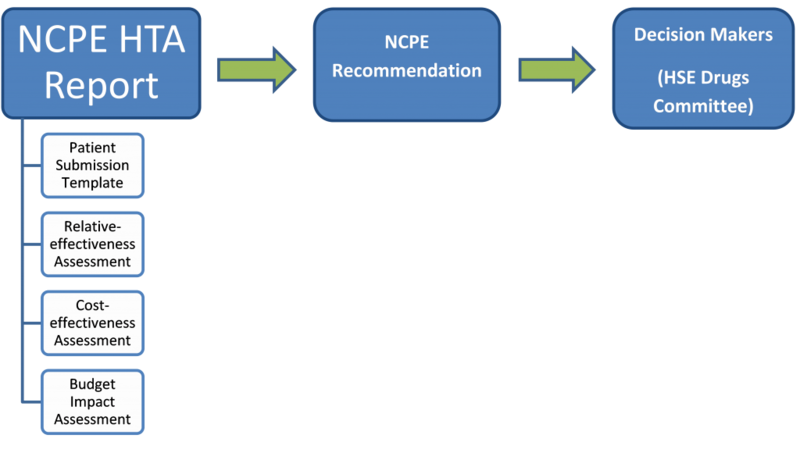 The National Centre for Pharmacoeconomics is committed to facilitating the involvement of patients in the Health Technology Assessment (HTA) process. We believe that patients have perspectives and experiences that can uniquely contribute to the decision making process. With this in mind, the NCPE provide the Patient Organisation Submission process, to enable patient groups to communicate their experiences directly to the decision maker, the Health Services Executive (HSE). 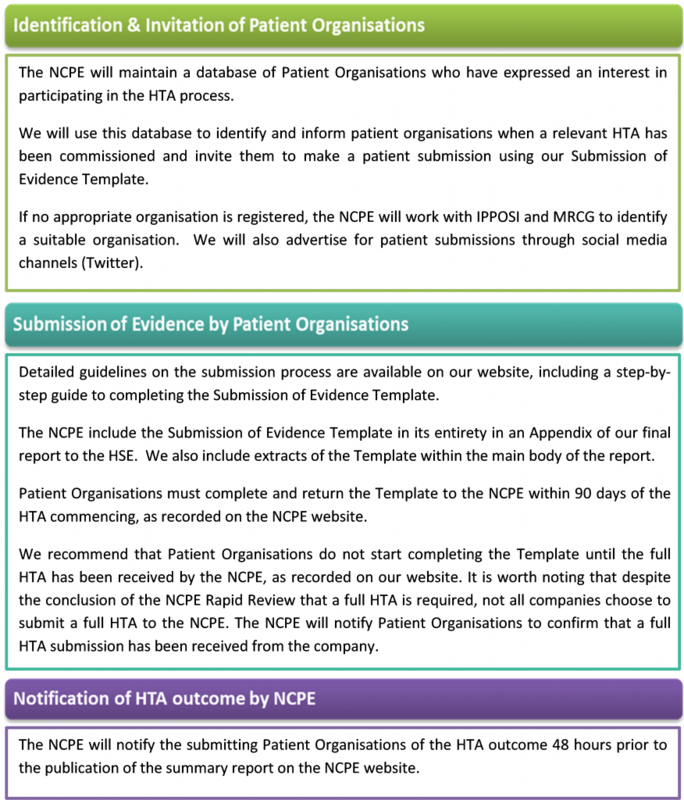 The NCPE have identified three key steps in the Patient Submission Process; Identification and Notification of the Patient Organisation, Submission of the Patient Organisation Submission of Evidence Template, and Notification of Outcome by the NCPE.